Robert “Bob” French, of Herrin, passed away 1:04 p.m. Saturday, December 1, 2018 at Heartland Regional Medical Center in Marion. 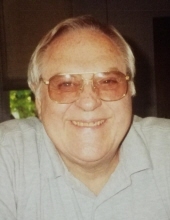 Bob was a civil engineer for C.I.P.S., former Greene County Superintendent of Highways, a Land Surveyor. Bob was born August 6, 1931 in Carlinville, IL to A.O. & Winnie (Ansell) French. He married his high school sweetheart Carol Crabtree on June 20, 1953 at the First Baptist Presbyterian Church in Carlinville. Bob was a veteran of the U.S. Army. He was a proud alumnus of Mississippi State University and an avid St. Louis Cardinals fan. Bob was a member of the First Christian Church in White Hall, IL. Bob was a member of the Masonic Lodge in Carlinville, the Lion’s Club, the Jaycee’s, the American Legion, and also the Land Surveyors Association. He is survived by his wife of 65 years, Carol French of Herrin; three sons, Mike & Ruth French of Pawnee, IL; Patrick & Kathie French of Wichita, KS; Dennis & Ginger French of Paris, TN; daughter, Jennifer & Adam Porter of Christopher, IL; ten grandchildren, Ian French, Bennett French, Madeline French, James French, Mikell Etherton, Aiden Porter, Kelsey & Shannon Bethune, Todd French, Kellie & Rusty Knox, and Mike & Sandy Kampenga; eleven great grandchildren, Garrett Withner, Alex French, Bar Bethune, Sloane Bethune, Cameron Smith, Tucker Knox, Kendall Knox, Gunner Knox, Katie Kampenga, Sarah Kampenga, Rachel Kampenga; and canine companion, Ducky. Bob was preceded in death by his parents and sister, Joyce Behme. A Time of Gathering for family and friends will be from 4:00 p.m. until 6:00 p.m. Saturday, December 15, 2018 at Meredith-Waddell Funeral Home in Herrin. Memorial Donations are suggested and may be made to the Perry County Humane Society, 8365 Illinois 14, Du Quoin, IL 62832; envelopes will be available at the funeral home. To send flowers or a remembrance gift to the family of Robert "Bob" French, please visit our Tribute Store. "Email Address" would like to share the life celebration of Robert "Bob" French. Click on the "link" to go to share a favorite memory or leave a condolence message for the family.